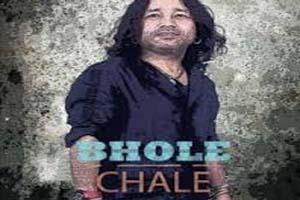 Hindi Lyrics 4 U: Lyrics Of "Bhole Chale" From Latest Album - Bhole Chale (2016). Lyrics Of "Bhole Chale" From Latest Album - Bhole Chale (2016). A devotional song sung and written by Kailash Kher. Lyrics in Hindi (Unicode) of "भोले चले"